Just 10 miles from central London, Langley Park’s 120 acres are a haven of peace and tranquillity. Our Club was formed in 1910, with the course originally designed by five-time Open Champion J H Taylor. 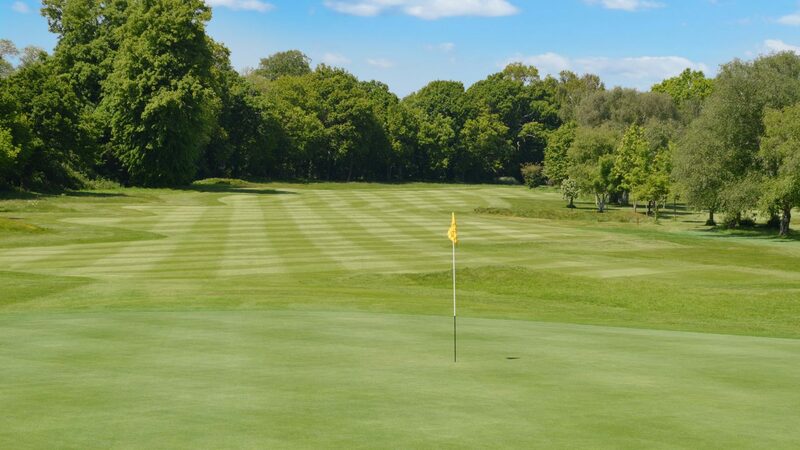 Having been previously used for Open Qualifying, our course has something to interest golfers of all levels, and each hole offers its own unique challenge, with firm tree-lined fairways and lush, smooth rolling greens. The parkland setting makes good use of the lakes and natural features, and offers an interesting but rewarding test for the keen golfer. From the back tees the course measures 6467 yards with a par of 69, and the par 3 18thhole is played almost completely across water. Our Clubhouse offers the perfect venue for your golf day, with a spacious lounge and restaurant overlooking the course. The comfortable patio is a superbly relaxing place to enjoy a drink from the bar whilst watching your fellow players putt out on the 18th. Our society packages at Langley Park offer everything from a simple 18 holes to a full 36 hole event, with a two-tee start usually available for larger groups. The golf shop stocks a full range of equipment, and electric trollies and golf buggies can be hired. We have many options available for breakfast, lunch and dinner, and our well-stocked bar serves a wide variety of drinks. Full details of the complete range of society packages can be viewed on our website. We look forward to seeing you soon and check out our video below. Contact the club for recommendations. Our facilities include a short-game practice area, and we have an indoor SkyTrak computer simulator available for hire.